Peter Davies specialises in handling catastrophic personal injury and clinical negligence claims and complex, high value litigation. He has a particular niche interest in dental negligence claims. He is a member of the Law Society’s specialist Personal Injury accreditation scheme; a senior litigator with APIL (the Association of Personal Injury Lawyers) and is recognised by Headway, the Brain Injury Association, as a panel solicitor. 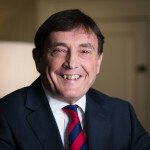 Peter Davies is the Managing Director of Davey Law Limited having worked for the Company (and its predecessor firms) for 35 years. He is Davey Law’s COLP(Compliance Officer for Legal Practice and works out of both our Cirencester and Gloucester offices, ensuring the smooth running of all departments. Peter specialises in handling catastrophic personal injury and clinical negligence claims and complex, high value litigation. He has a particular niche interest in dental negligence claims. Peter Heads the Brain Injury Team who are approved members of the Brain Injury Group. Member Firms are chosen for their experience and proven track record of handling successful claims for compensation and involvement with their local Headway support group. Each firm has to meet rigorous criteria to be accepted in to the Brain Injury Group. In fact their criteria is the strictest in the industry. Peter is a Director for Headway Gloucester attending regular meetings and reviewing services. Peter’s main purpose in any claim is to ensure his client’s financial security – to facilitate the accommodation, care and support needed for their future wellbeing. Peter also acts as a financial deputy and a health and welfare deputy when appropriate. A solicitor with vast experience, Peter sits as a Deputy District Judge in the County Court on the Midland Circuit. Peter is happy to visit clients at home or in hospital. Away from work, Peter is passionate about rugby (when he can watching his beloved Wales and Gloucester) and cricket. He enjoys cycling, running and spending time with his family and friends.